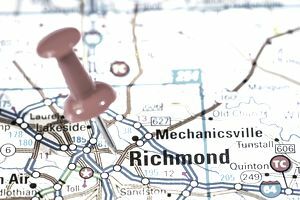 Virginia has quite a few companies that offer work-at-home call center job opportunities to its residents. Below are some call center companies that hire in Virginia. Accolade Support Call Center Services: Independent contractors work the phones as home-based technical support agents and customer service reps, servicing this business process outsourcing (BPO) firm's clients. Pay is a per-minute rate that goes as high as $10/hour. Keep in mind, though, that independent contractors are not guaranteed minimum wage. Alorica: Alorica, which merged with West at Home, hires remote customer service agents who are paid on a per minute or per call basis, but since they are employees they are assured of earning the minimum wage in their state. American Express: Call center agents with experience in reservation systems (as well as travel agents) work from home for the company's corporate travel division. Being bilingual is a competitive advantage in getting hired into one of these jobs. Apple At Home Advisors: The work-at-home call center division of Apple hires tech support/customer service agents nationwide though the jobs often have locations listed in the postings. Apple provides computer equipment. ARO: Company's remote call center employees work in a variety of jobs including sales, and customer service. It also hires insurance auditors and LPNs and RNs to work from home. Aspire Lifestyles: Specializing in virtual assistant or concierge services, the company's remote agents handle customer requests by phone, e-mail, and chat. Fluency in French, German, Spanish or Italian is a plus. Carenet Healthcare Services: Registered nurses are needed for these medical call center jobs from home. Agents are employees and paid approximately $25/hour. Jobs are full time, and overnight work may be available and/or required. CenturyLink: This provider of voice, broadband, and video services in 33 states employ home-based call center agents and pays around $10-11/hour. Bilingual skills are a plus. Convergys: Remote call center agents employed by this BPO take incoming calls and provide customer service, sales or technical support. Company's training is paid, and it offers benefits. HSN.com: The Home Shopping Network offers work at home jobs in call centers. Inbound calls are both sales and customer service. Full-time positions provide health insurance benefits. Jobs are based in Roanoke, VA.
LiveOps: This BPO hires remote call center agents as independent contractors for a variety of customer service jobs. Agents are paid at a rate that is based on minutes of talk time plus sales incentives in some cases. Agents must become "certified" to work for individual clients. This certification is not paid. Agents must pay for their own background check. Support.com: Company provides remote tech support to clients, via home-based tech support chat and call center agents. Its remote services technicians answer inbound calls and its solutions center supervisors support and supervise the remote services technicians. SYKES Home Powered by Alpine Access: Remote employees receive inbound customer service and sales calls for a variety of this BPO's clients. Training is paid. Starting pay is around $9/hour. Successful applicants pay $45 for a background check. The hiring process for these call center jobs is online and by phone. Bilingual skills are a plus. TeleTech@Home: Global company hires associates for 20-30 hours/week. to work from home as call agents and other fields. Bilingual call center agents needed. Benefits include paid training, 401k. Pay is $9-10/hour. ThinkDirect: Company hires employees as inbound work-at-home agents, selling magazine subscriptions. Pay with incentives is $10-$14 an hour. Ver-A-Fast: Company contracts with home-based call center agents to make verification calls for the company's clients in the newspaper industry.